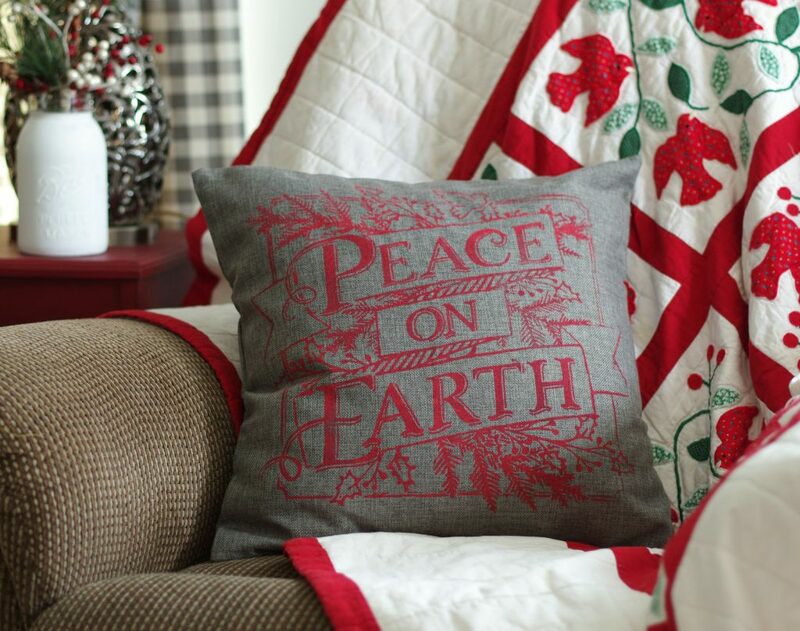 I have made lots and lots of Christmas pillows over the years. 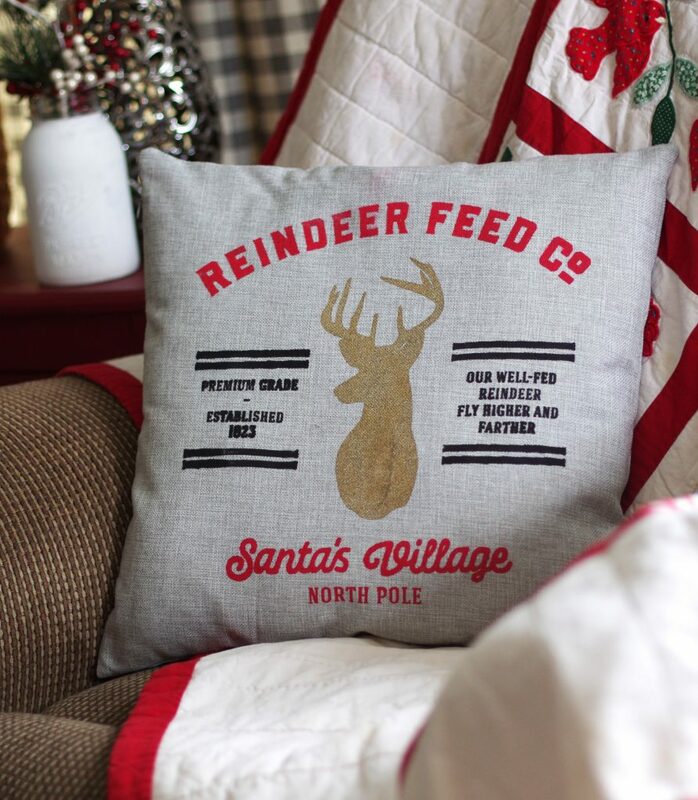 I’ve made pillow covers using metallic heat transfer vinyl, glitter heat transfer vinyl, and polka dot fabric. But I must say that the ones I just made last week are by far the prettiest! Not only are they the prettiest, but they were also the easiest to make! 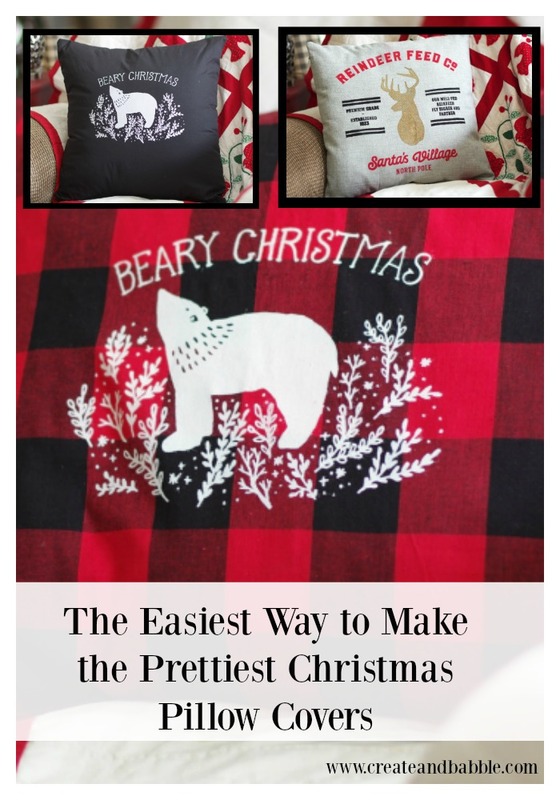 Here is a step-by-step tutorial on how to make pretty Christmas pillows with Chalk Couture. Prepare the pillow cover for inking. 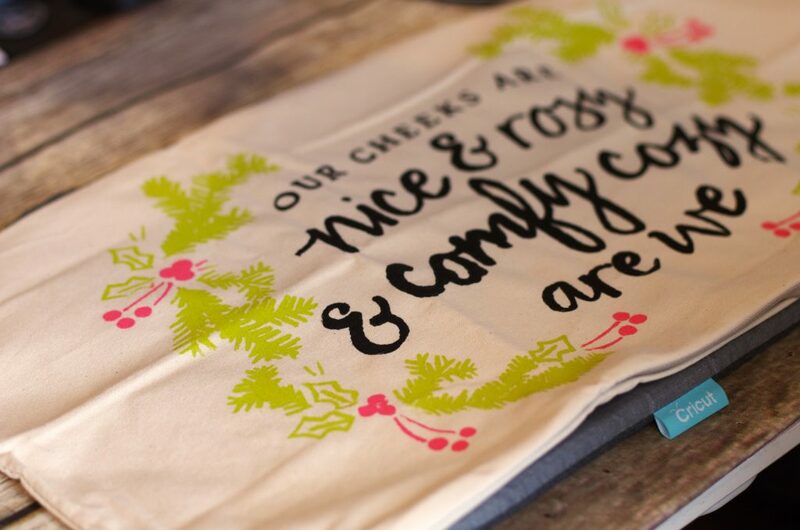 Simply insert the Ink Mat (or cutting mat) inside of the pillow cover to prevent the ink from bleeding through to the back. Remove the backing from the transfer and place the transfer stick side down onto the pillow cover. Smooth to remove wrinkles and air bubbles. I used the large 4″ handled squeegee to help with this. Apply the ink. Use a small squeegee and apply dollops of ink onto the transfer. Immediately start to scrape the ink across the open areas of the silkscreen transfer. You want a nice, thin layer of ink covering up all of the open silkscreened areas of the transfer. Scrape off any excess ink back into the jar. Remove the silk screen to reveal the finished design! Ta-daa!!!! Can you believe how easy that is???? Once the ink is dry (it will still be a little tacky), it is time to heat set the ink. This is what makes the ink permanent. 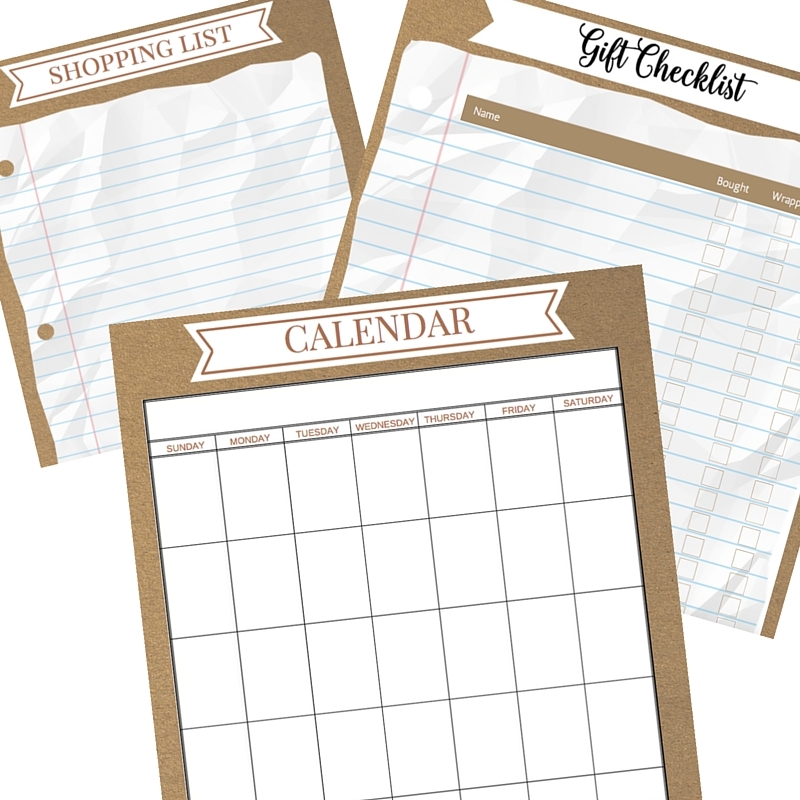 Place a sheet of parchment paper over the pillow cover. Press a hot iron over the design for 4 minutes. 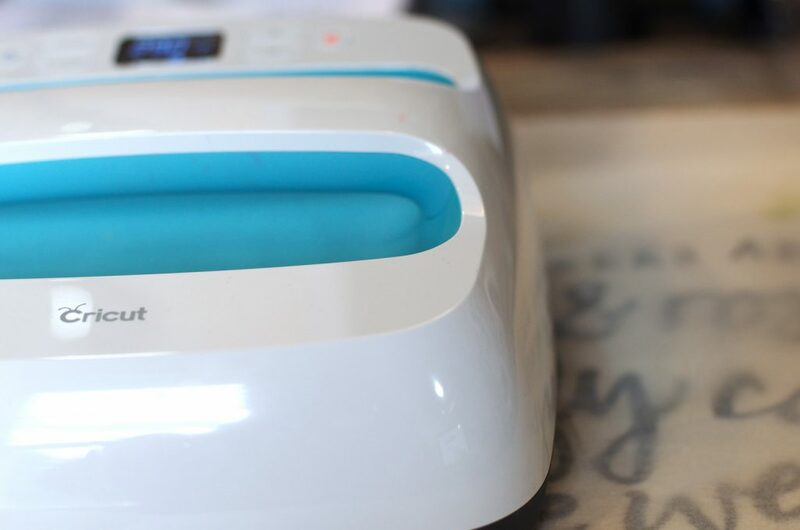 If you have an Easy Press or a Heat Press, press for 30 seconds at 300 degrees. 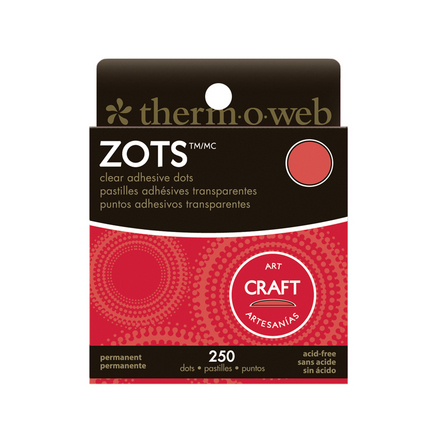 You might even want to consider using non-traditional Christmas colors. « Make Your Own DIY Wood Pumpkins With These Fun Ideas! This sounds SO easy! 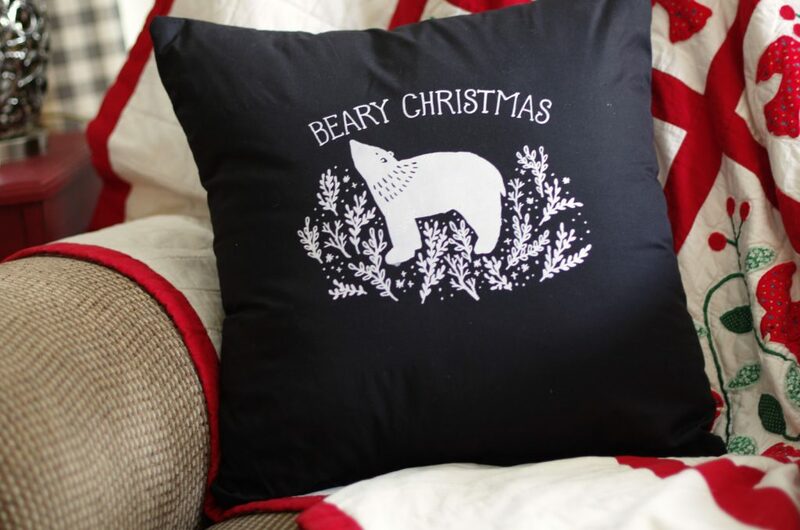 And I adore that “Beary Christmas” design 🙂 Thanks for sharing at Merry Monday. 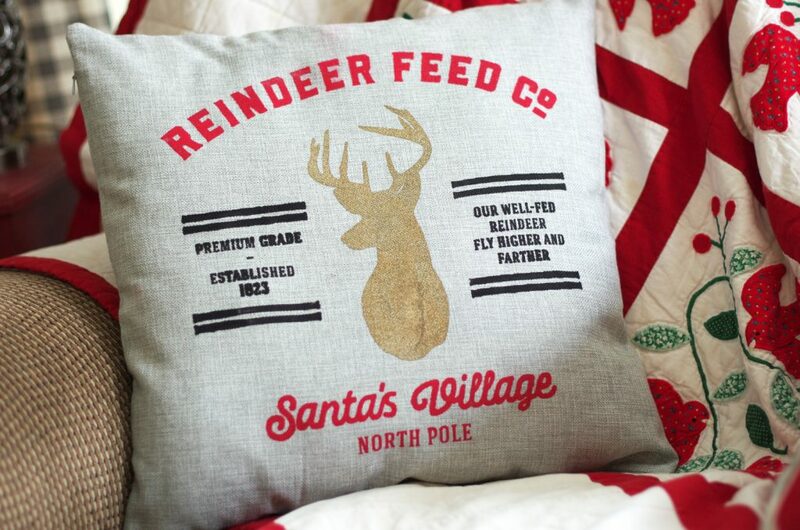 I’ll be including your Christmas pillows in my Party Features next week. Have a great weekend!